In the age of DNA testing and networked computer databases, it’s a bit of a shock to learn that a few corpses have turned up in Marion County over the last twenty five years which remain unidentified. On July 19th, 1989, a few kids were paddling down Flat Run Creek in Tully Township when they spotted shoes in the brush along the creek’s edge. Maneuvering their canoe a little closer, they realized the shoes were attached to a body. The Ohio State University anthropology department reconstructed Luther’s face but to no avail. Removing the man’s remains from the creek, law enforcement almost immediately suspected that he was a murder victim. For starters there was no I.D. on the man nor could investigators find a boat or car belonging to him. An autopsy later provided more substantial evidence supporting foul play. Specifically, former Marion County coroner Dr. Robert Gray told the Columbus Dispatch in 1992 that he believed, “the man died of a .22-caliber bullet wound to the larynx.” Although the sheriff’s department ran down “hundreds” of leads, the identity of the man – by now investigators were referring to him as “Luther” – remained a mystery. In 2007, however, the sheriff’s department tried one more time to find out Luther’s identity. The plan was to extract a DNA sample from Luther’s remains and submit it, along with his physical description, to the FBI’s National Crime Information Center. The NCIC is a database containing a vast amount of crime-related information, and the hope was that Luther’s profile would match one the thousands already on file. Unfortunately, Luther’s profile didn’t generate any hits, and his identity remains unknown to this day. 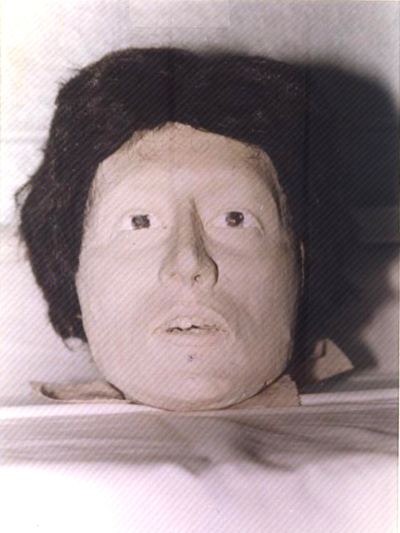 How Vicky may have looked while alive. Investigators called her “Vicky” because her bones were discovered on Victory Road just south of Linn-Hipsher Road. On March 10th, 2007, nearly 18 years after Luther was found, Larry Higgins Jr. was out poking around in the brush near Victory Road. The area has always been a popular illegal dumping site, and Mr. Higgins was hoping to find some metal he could scrap. Instead he found what he initially mistook for a Halloween decoration. As he got closer, though, he realized that the skull he had spotted was, in fact, real. 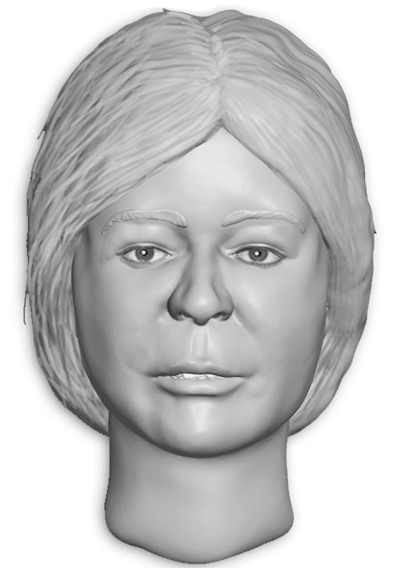 On March 14th, 2007, Marion County Sheriff Tim Bailey announced at a press conference that they were certain only that the skeleton was that of a young woman. As was the case with Luther, investigators also suspected that she was a homicide victim. An attempt to match her with a missing person listed on the NCIC database, however, yielded no hits. Officially, the Luther and Vicky cases remain open (though very cold). Still, there’s always the possibility that a crucial piece of evidence will come to light or that someone with information will come forward. And then we will at last learn the names Luther and Vicky had when alive rather than the names given to them in death. “Body Found Here.” The Marion Star 20 July 1989: 1A. Dreitzler, Bob. “Marion County Coroner for 35 Years Swaps Job with Assistant.” The Columbus Dispatch 6 April 1992: 02B. Edwards, Randall. “Help Needed to Identify Dead Man.” The Columbus Dispatch 28 August 1989: 04D. “Identity of Body not Determined.” The Marion Star 21 July 1989: 1A. Peppard, Bevin. “Dump Hunt Uncovered More Than Just Trash.” The Marion Star 13 March 2007: 1A. Peppard, Bevin. “Sheriff: Bones Thought to be Female.” The Marion Star 15 March 2007: 1A. Peppard, Bevin. “What happened to ‘Luther’?” The Marion Star 20 May 2007: 1A. “Skeletal Remains Found in County.” The Marion Star 11 March 2007: 1A.